Time is flying for a Signs By Tomorrow franchise in Rockville, Md., which is using two Acuity F presses from Fujifilm North America’s graphics systems division to address growing client demands. The shop opened for business in 1992. The demands of customers were no less important then than they are today. Print was still the major communication vehicle and requirements for high quality and solid customer service were at the top of every client’s wish list. In 2018, customer service and quality are still critically important, but the demands of high-profile customers include remarkably fast turnarounds, with very little flexibility for deadlines. This need for immediate gratification has pushed organizations to adapt by increasing their capabilities and efficiencies. Signs By Tomorrow of Rockville is a family-owned business. Mary Lou Goehrung (pictured, right), president, and her sons Glenn (left), vice-president (VP) and chief operating officer (COO), and Scott (middle), VP and chief technology officer (CTO), have been going above and beyond for clients for 26 years by providing a variety of signs and messaging for their customers. The rigorous demands of their client list, which includes big brands, government entities and large transportation departments, have kept them on their toes. The constant time pressure recently forced Goehrung and production manager Bill Davison to begin researching how they could maximize speed to market, dependability and capacity. As the proud owner of a 2.4 x 3-m (8 x 10-ft) high-speed Acuity F, Goehrung realized the answer was right under her nose. After adding a second Acuity F within their 1,301-m2 (14,000-sf) production facility, Signs By Tomorrow of Rockville is now the only franchise in North America with this capacity. In turn, the shop has experienced immediate improvement to its bottom line and is consistently earning new business. 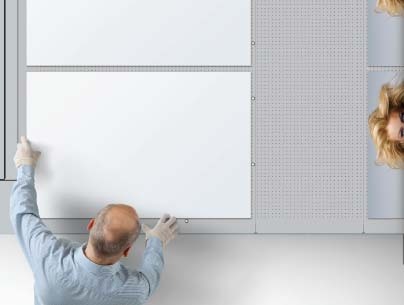 The franchise is successfully producing output on a variety of substrates, including a medium-density overlay (MDO) plywood composite for exterior post and panel signs, corrugated plastic for yard signs, aluminum composite for real estate signs and acrylic panels with stand-offs for rigid pieces. Signs By Tomorrow of Rockville is heavily involved in the real estate sign market, managing a contract for a mid-Atlantic company with more than 300 agents, which involves turning jobs on the Acuity F presses with high levels of speed and precision. The Acuity F is the most productive printer in Fujifilm’s popular Acuity series. 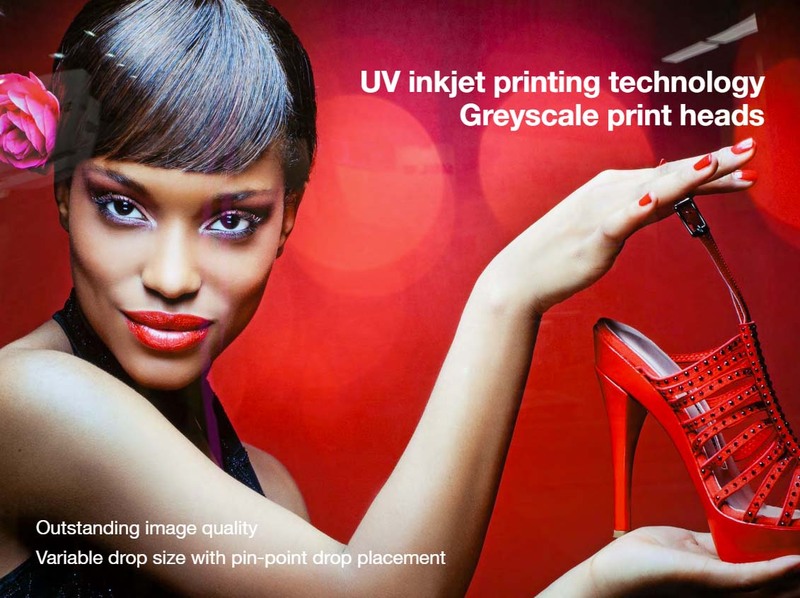 It combines eight years of market-leading image quality with leading-edge engineering and ink technology to deliver a state-of-the-art platform capable of printing a wide range of applications. 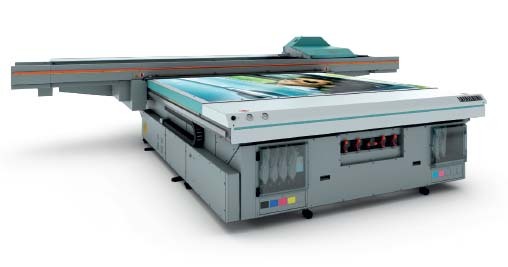 The addition of white ink extends the media range to include clear and coloured substrates. 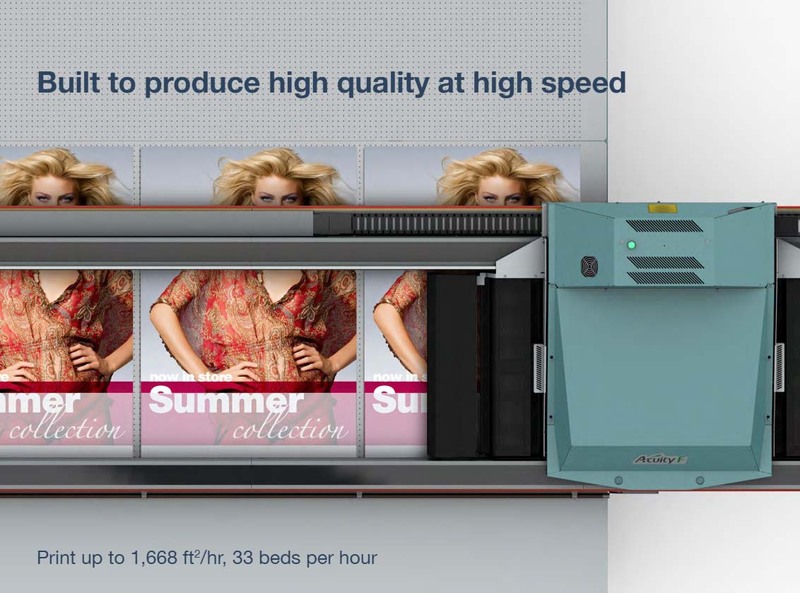 And with a maximum print speed of more than 149 m2 (1,600 sf) per hour, the Acuity F is built for productivity.